The lighter evenings mean many things to different people, one positive for me is that I’m going to add a few new places to the groundhopping list. In particular, with the Welsh National League (Wrexham) now commencing midweek games, I’ll be extending the list of grounds I’ve seen football at in Wales over the next few weeks. Working everything in with my trips to Park Hall, the home of the JD Welsh Premier League champions, it will be just a short journey on to watch a game. The TNS connection is key, otherwise living in Wolverhampton, it would be quite a trip. The day at Park Hall that saw me visit Gresford was busy, covering training and writing and publishing several website pieces. And the emails. Designed to make communication easier and more effective – and they certainly do that – nevertheless they have definitely become a workload of their own. Hands up if you want a selfie. I do like a #Selfie and when #TheNewSaintsFC players were raising hands in #Yoga exercises I couldn’t resist. Following all that, it was down to groundhopping business with a short journey along the A5 and A483 to Clappers Lane, the home of Gresford Athletic. Well, I say short although we’re talking 30-odd miles round-trip to and from Park Hall, but the amount of travelling I do, it’s nothing. 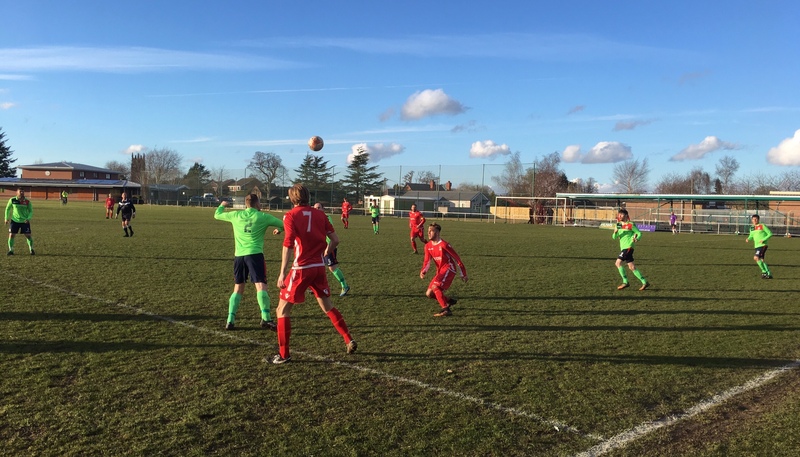 The game in question saw Gresford hosting Corwen FC in the reserves division. Although top flight football in Wales is dominated by 3G pitches, at this level it’s grass that supports the game. The conditions were good and I really enjoyed the match. Both sides looked to play attacking football and had chances in the early stages, but it was goalless as the whistle went to end proceedings in the first period. A quick turnaround to ensure the fading light was not an issue and the teams changed ends for the final 45 minutes. The deadlock was finally broken by Gresford, courtesy of a well-taken penalty, following a clumsy challenge in the box. As the half wore on, so did the home side’s dominance, and a second goal gave them a comfortable cushion. That’s how the game ended and on reflection I’d say Gresford were the worthy winners. However, Corwen never gave up and ended the game pushing forward. The match was competitive but played in a good spirit. This was my 33rd Welsh ground visited and with the longer days ahead, I’m looking to break the 40 barrier before the season ends. Well, one thing is for sure, you can never have too much football. Check out the groundhopping section on my website here and why not subscribe to all blog entries via the ‘Follow’ link at the base of the page. Go to the home page here.